The little socks are so cute. They are just big enough to fit on my index finger to give you an idea of size. I can’t believe she made these little guys. It must have been difficult, I imagine. This picture cannot do justice to this yarn. 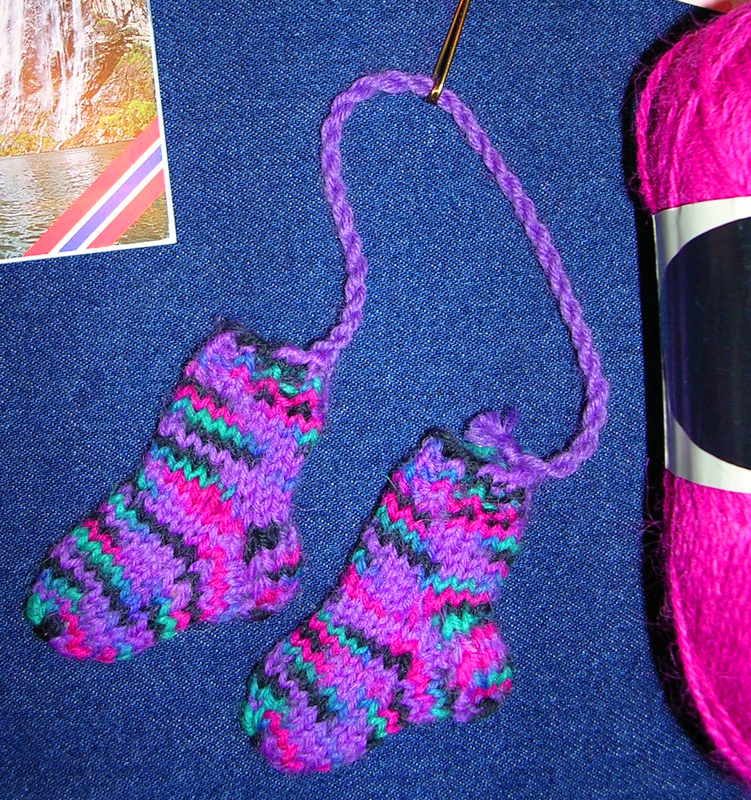 The super-fine alpaca is so soft and such a beautiful shade of pink. 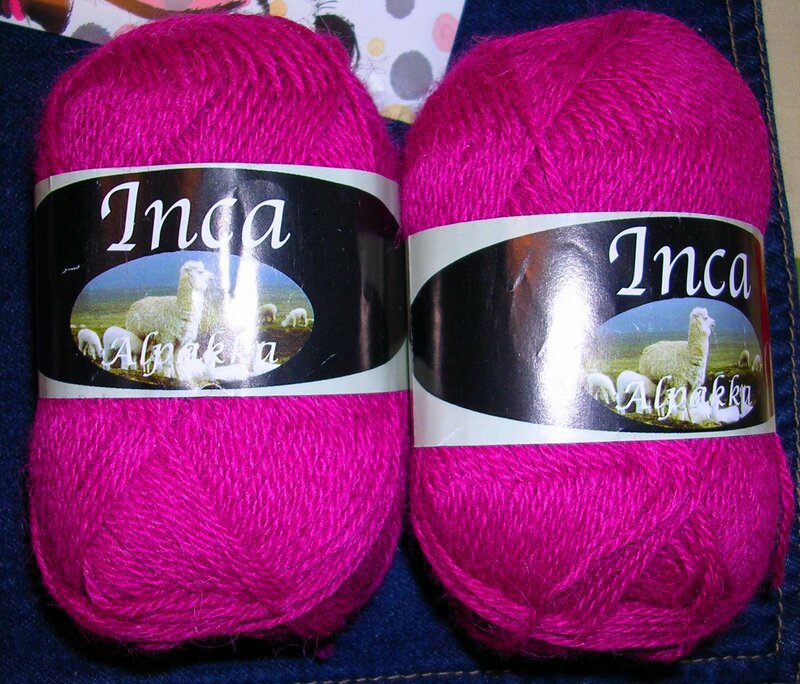 These are my first two skeins of alpaca ever and I’m really looking forward to working with this yarn. I plan to make a lace shawl or scarf. Thank you so much secret pal; I really love everything you sent and your package made my day.